Darran’s photographs portray the quieter side of life in the emergency services rather than the headline grabbing emergency calls. 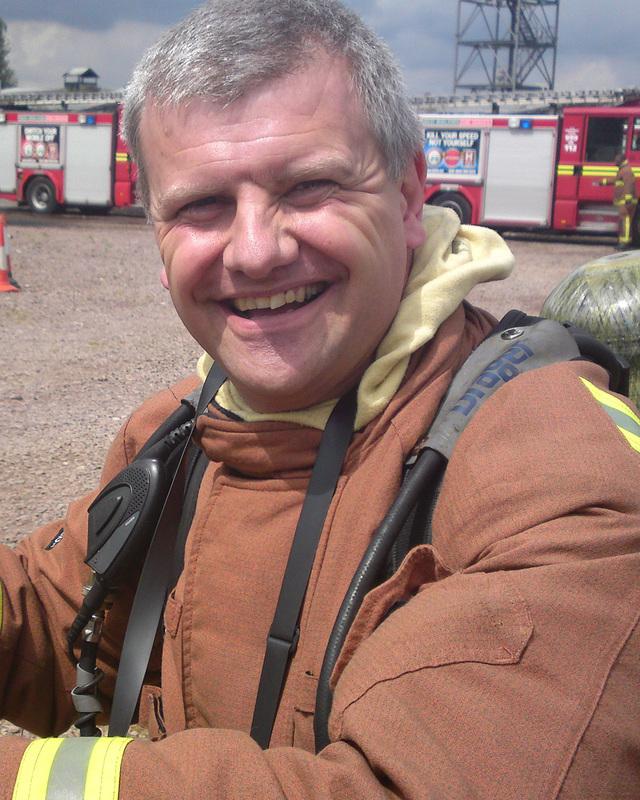 As part of his firefighter duties Darran also provides fire cover for air shows, air displays and for aircraft carrying out parachute training for the MOD. These events add an exciting facet to his career and provide many photographic opportunities. For this exhibition Darran has created a montage based on bringing a project Richard did at Berkshire College of Art & Design 30 years ago up to date. Richard explored people's personalities by photographing the inside of their glove compartments in their cars. Darran has brought the original idea to the fire crews' locker room where he has photographed the insides of his fire crews locker doors! Each one unique and fascinating to compare.